People always look for ways on how they can show to the public of their great friendship. One of the most effective ways is to use an inking that will be seen by everyone. 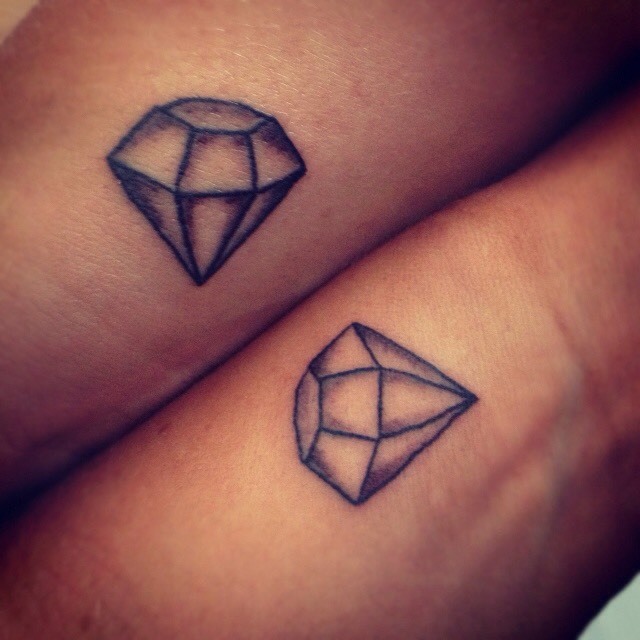 We have various best friend tattoos that two or more friends can wear and symbolizes friendship that are simple, cute and cool. It is said friends are the best riches. 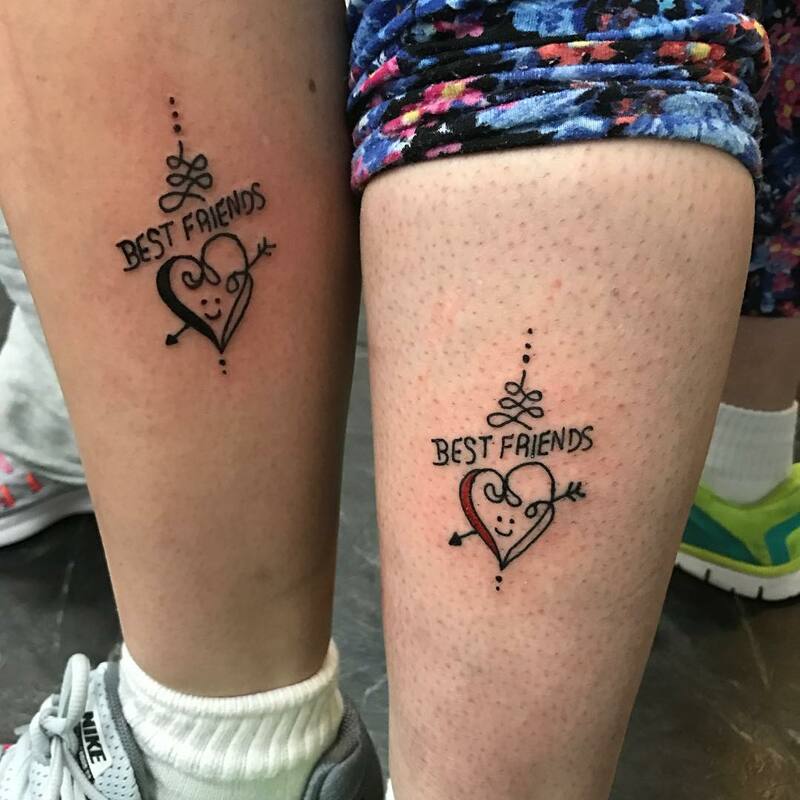 Therefore, below are some of the best friendship tattoos in different categories that you can wear to celebrate one another as friends. Best friends tattoos do not necessary need to be so huge. There are those that are small and still looks cute and cool. 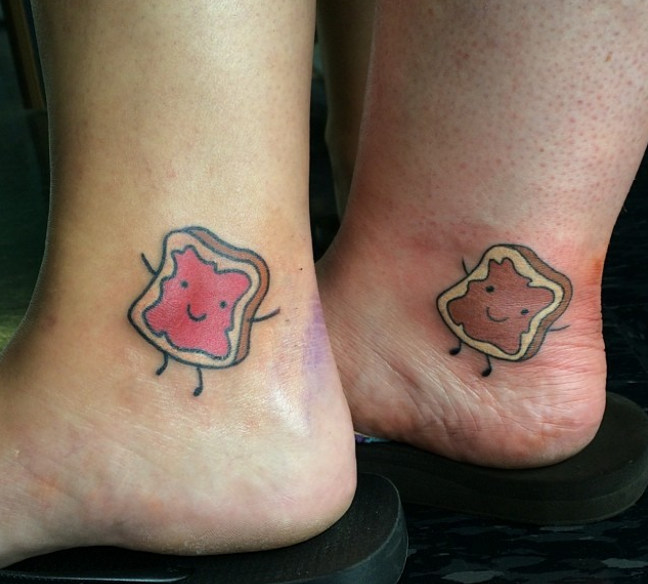 Below are some of the best small friend tats. 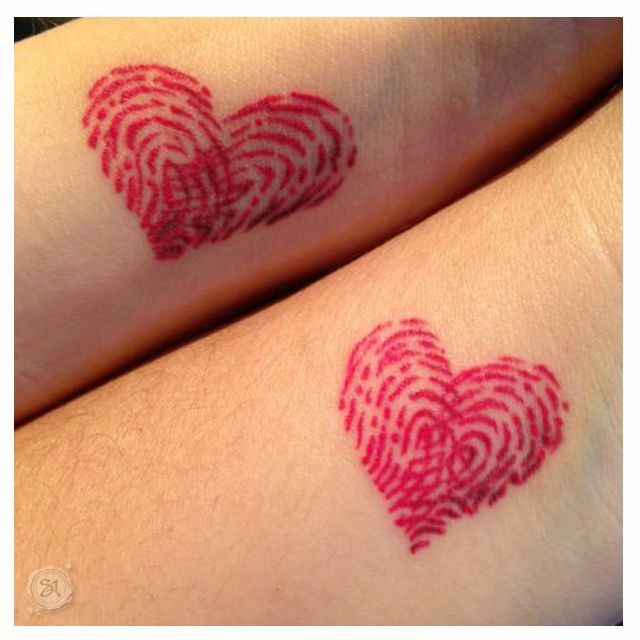 This is done by having simple hearts drawn on the wrist of each friend. The heart is drawn without any decoration. Only the outer line is drawn. 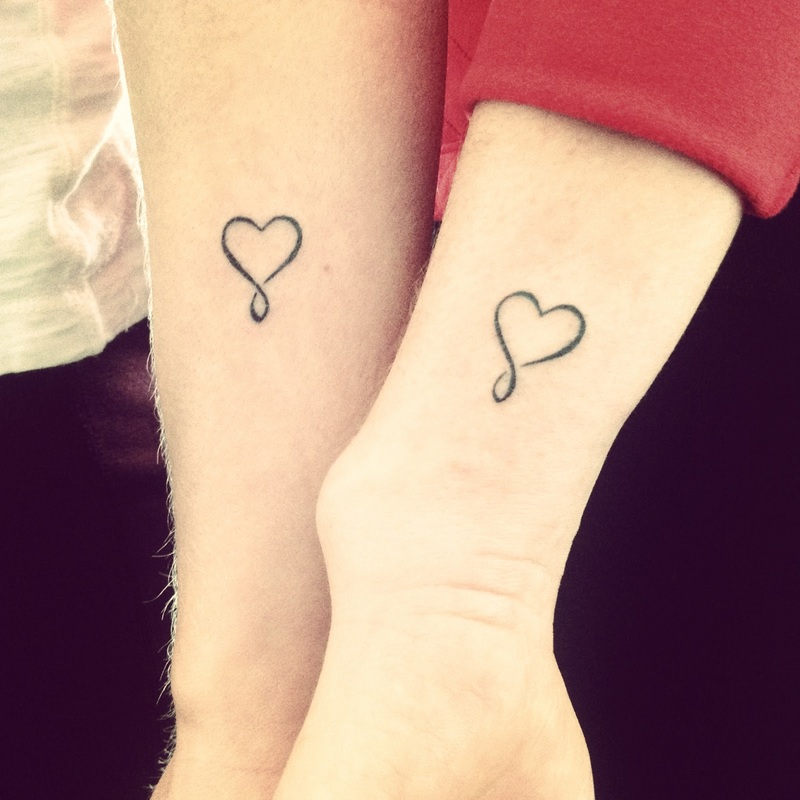 It is simple to make this tattoo but still it looks nice when two friends wear it as a sign of their friendship. 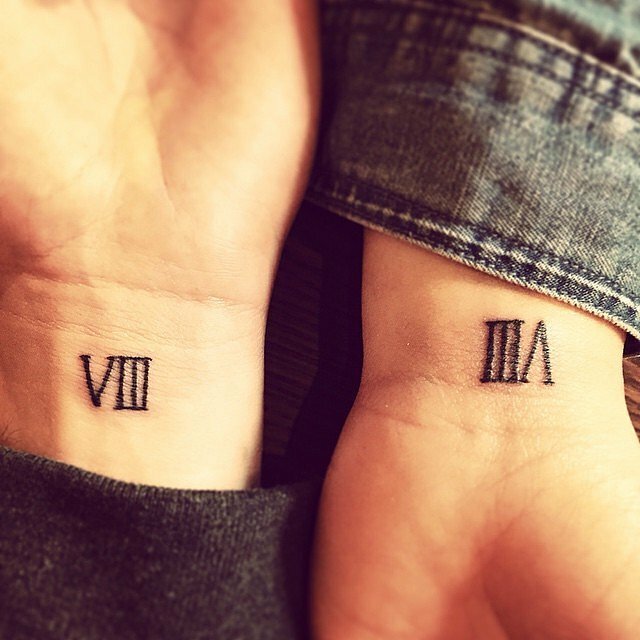 It is another small friendship inking where the image only comprises of the roman numerals. 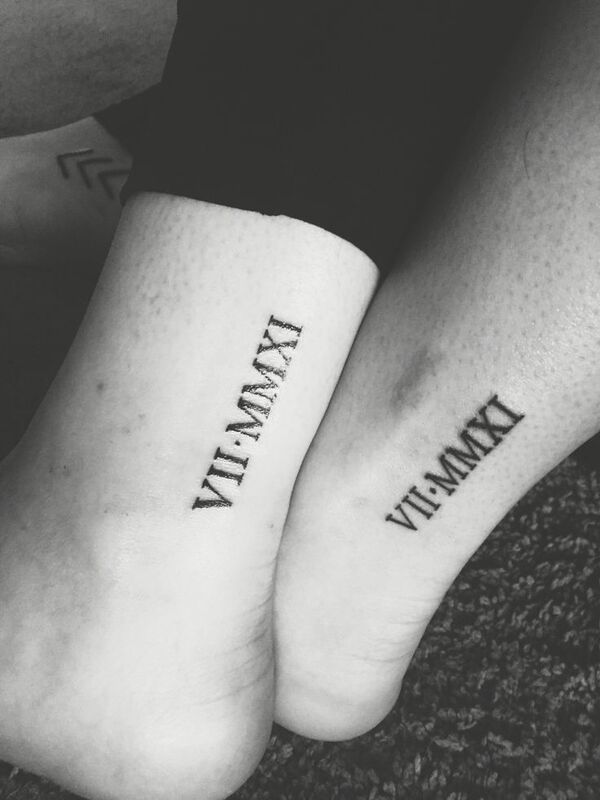 The roman numerals may symbolize either the year when the friendship started or the year they had a specific special moment worth to remember. In this case, the meaning of the tattoo is concealed to the two friends. It comprises of a heart that is crossed by an infinity sign. This is used to mean that the love binding the friendship of the two friends will last forever. 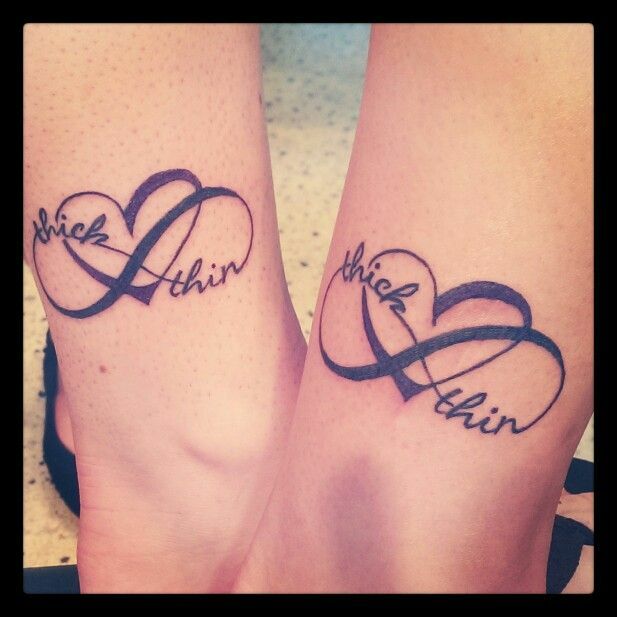 In this case, the infinity symbol is used to mean the friendship has no ending. 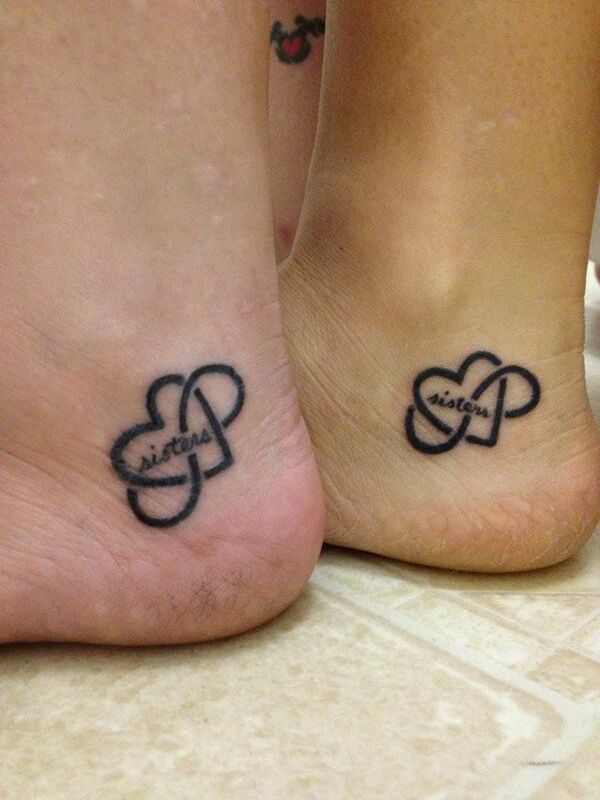 Therefore, you and your best friend can try this by each making a small infinity inking at the toe or foot. 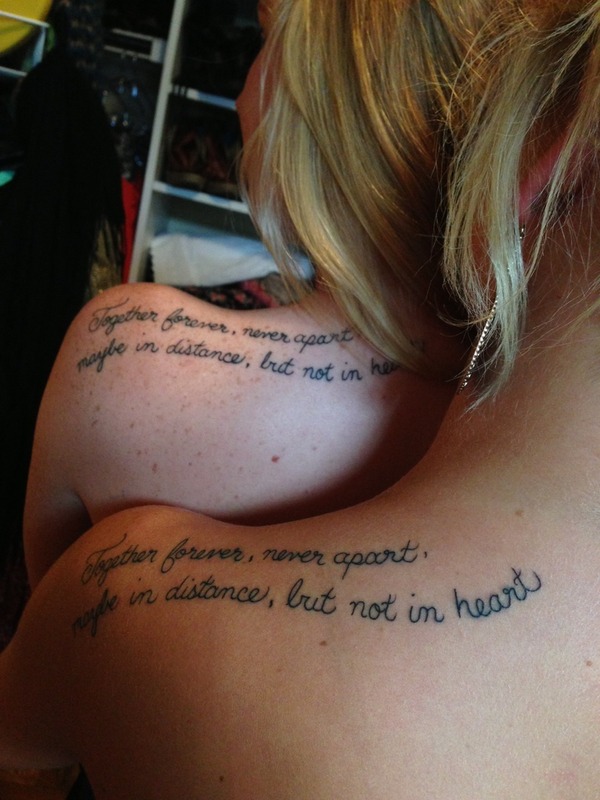 The BFF tattoo quotes differ with the small best friend one since some of them are large. A tatmust have a quote about friendship to be classified under this category. 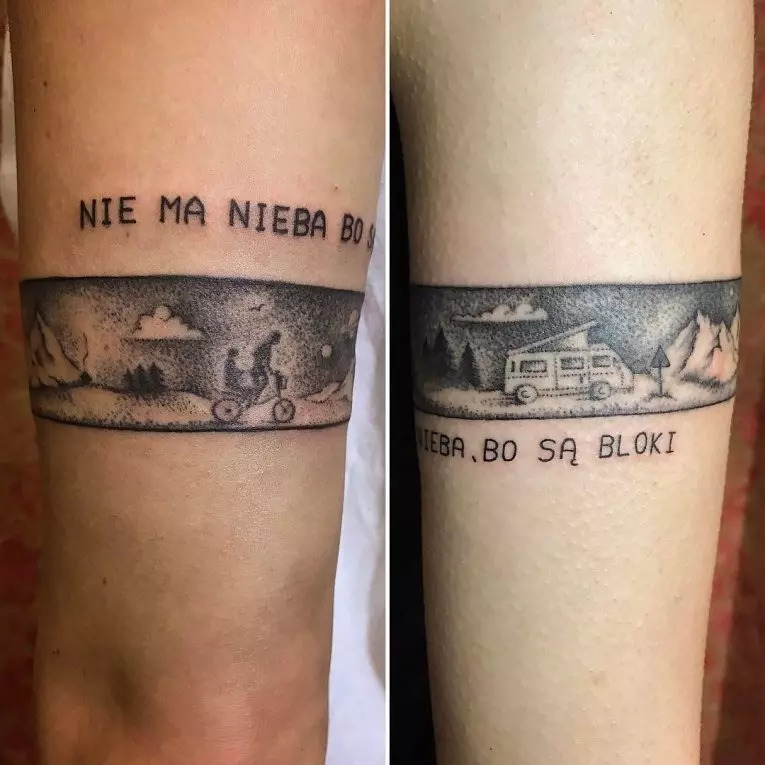 The quote is divided into two parts whereby one friend does the tattoo of the first part of the quote and the other friend does the remaining part. This is a wonderful statement that you and your friend can promise one another. By having it as an inking, it just keeps reminding both of your of your commitment. One friend writes the first part and the other the second part. The statement becomes complete when you two come together. 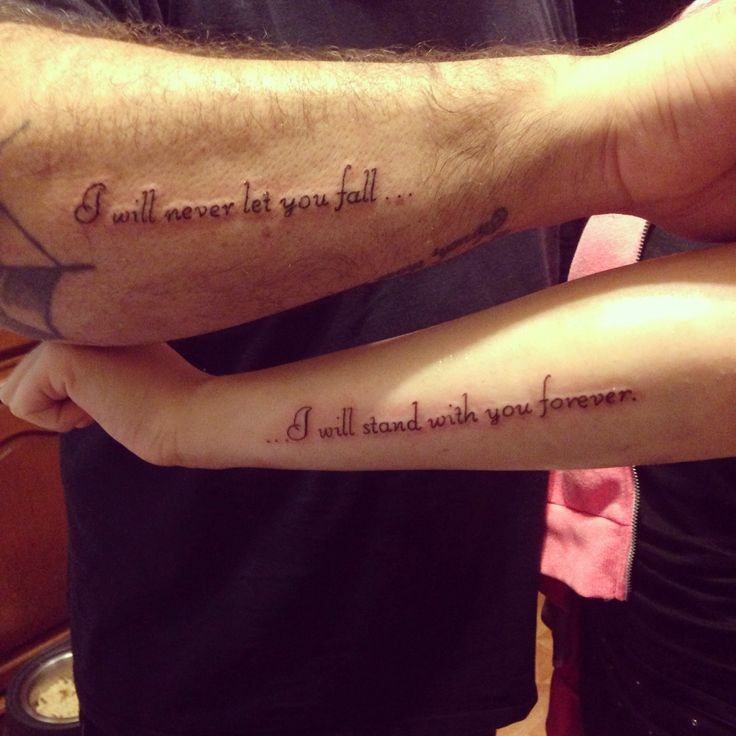 Again, this also another important promise in friendship matters that can be done as a tattoo. These letters are clearly done in capital letter and styled in a calligraphic way to make it stand out. The heart symbol, in this case, is used to complete the statement that you can be apart in distance but not in the heart. This friend quote inking is also applicable to couples. You can place the quote at the back of one shoulder. 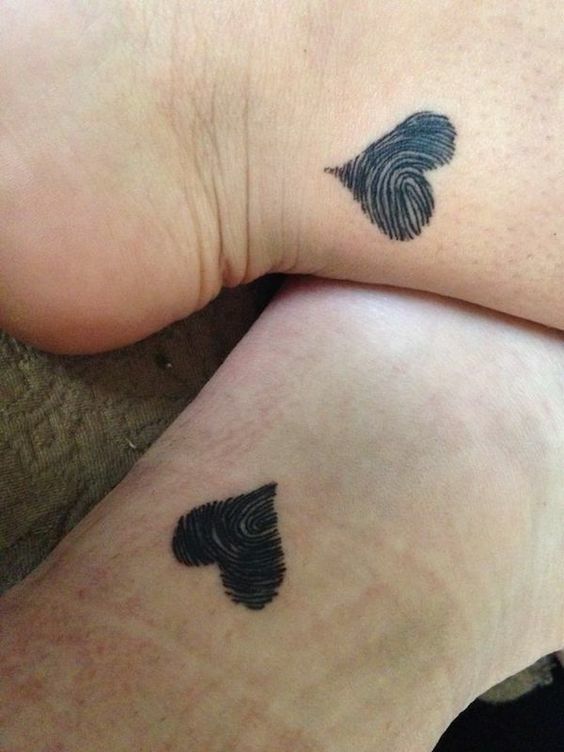 It is a beautiful simple inking whereby hearts with a look of a fingerprint are made on either the wrist or ankles for both you and your friend. The hearts symbolizes the love that builds your friendship. Friends always say they will remain together through thick and thin. This can be done as tattoo comprising of a heart, an infinity symbol and the phrase which is used to form part of the infinity sign. This comprises of a heart joined together with a lifeline. The essence of this lifeline is to show that the friendship shall remain till the end of life. The tat is done similarly on both friends and placed on the wrist. 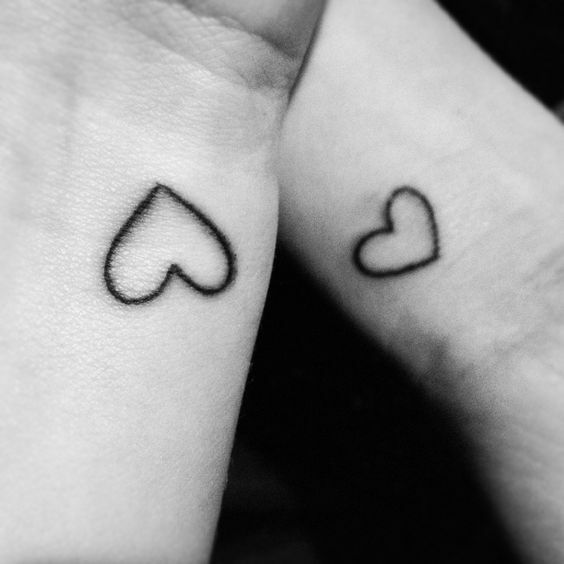 This is another best friend heart tattoo that is very cool and beautiful. The additional of rainbow colors will make your inking stand out and look unique. One friend will have his heart decorated inside using these colors while the other friend will have his heart decorated outside. 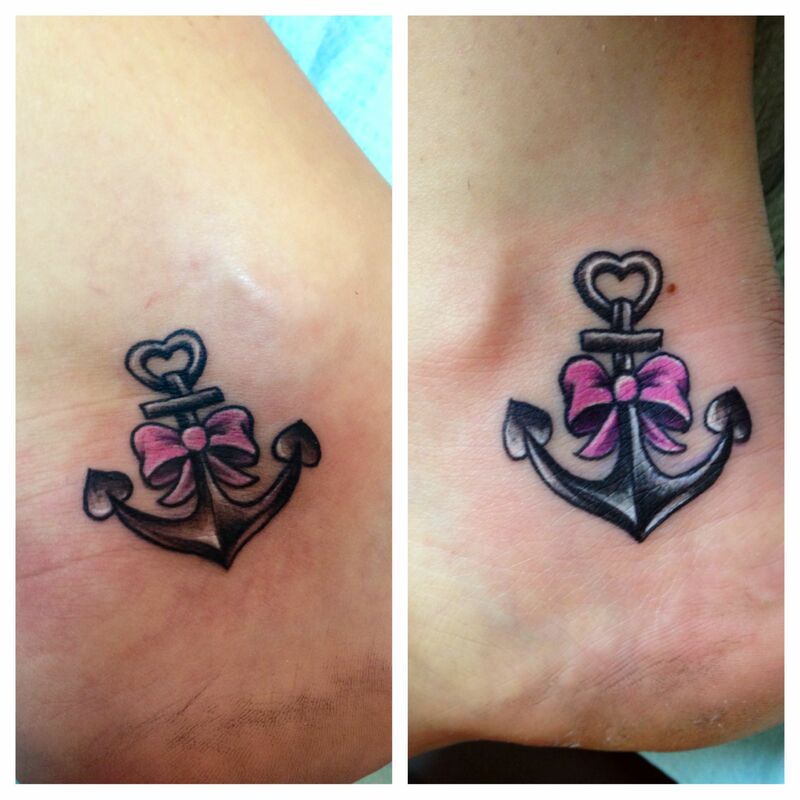 Cute anchor and bow tattoo. 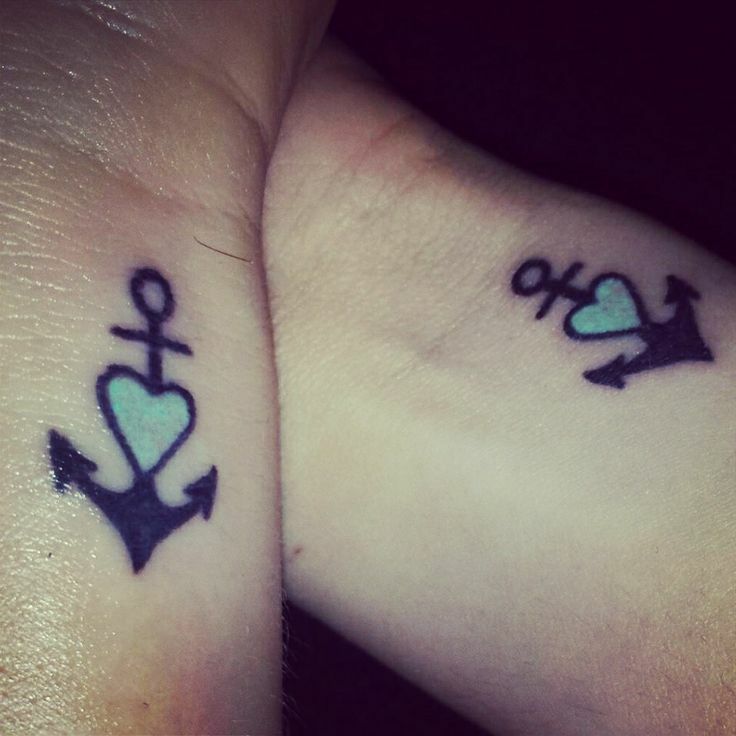 Despite an anchor being associated with support, it also symbolizes stability. This inking comprises of a cute anchor with a heart or bow tied to it. The bow can be decorated with a bright color to make the tat more beautiful. It can be placed in various places of the body so long as it fits correctly. 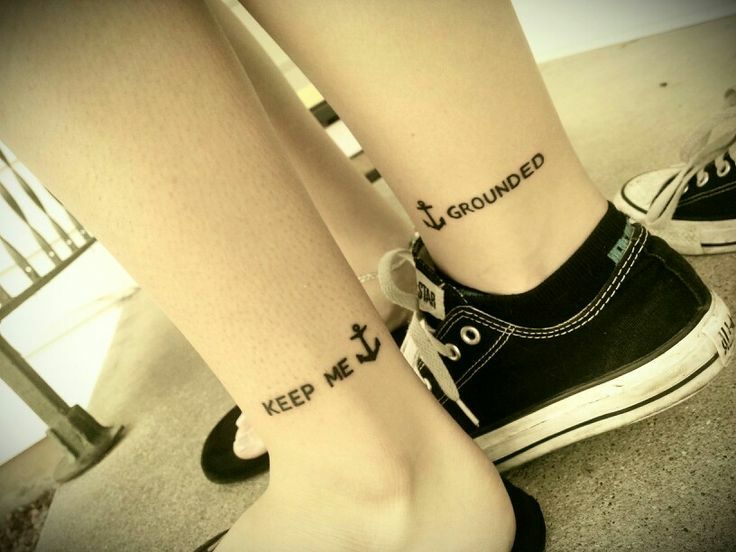 In this case, the phrase “keep me grounded” is split into two parts. The first part “keep me” is tattooed on one friend followed by an anchor and the second part is done on the other friend and still followed by an anchor. The tattooed appears best when done just above the ankles. 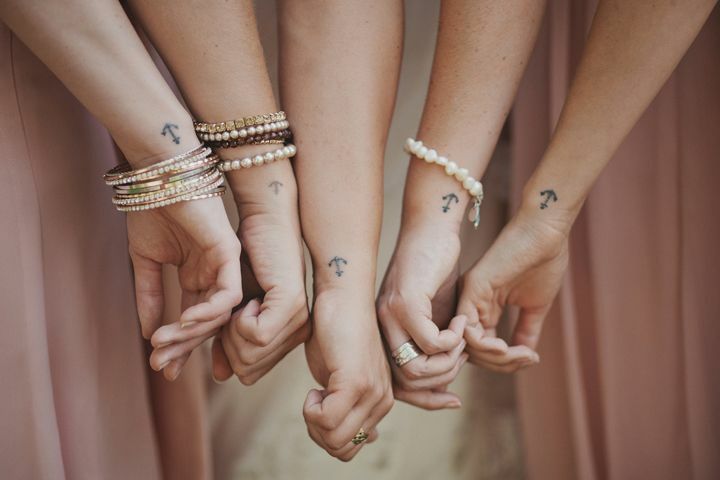 The anchor wrist tattoo is one of the simple inkings whereby only an anchor symbol is made on the wrist of each friend. The anchors should be identical and no much decorations is done. The edges of the lower side of the anchor can a take a certain shape. However, to make it more meaningful, the edges should take the shape of a heart. 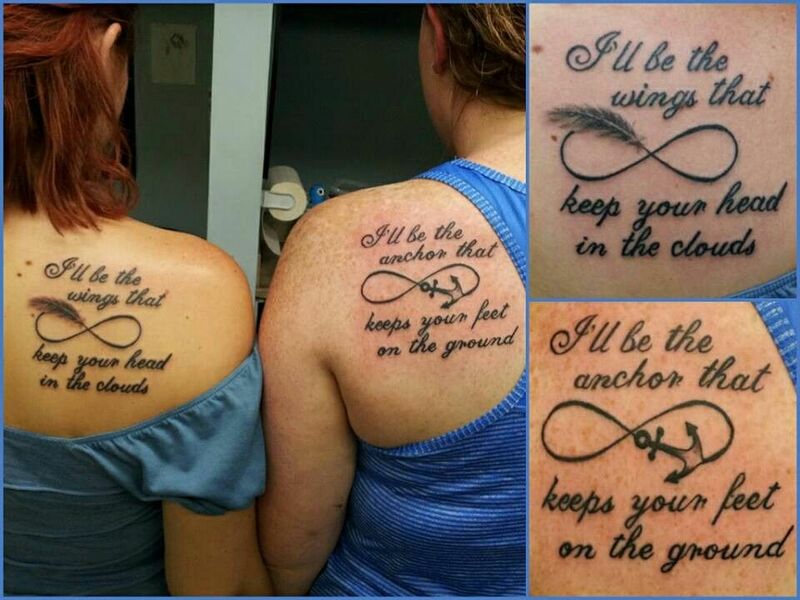 The best friend infinity tattoos are those that the main element is the infinity symbol. An infinity symbol in friendship is used to stand for everlasting. 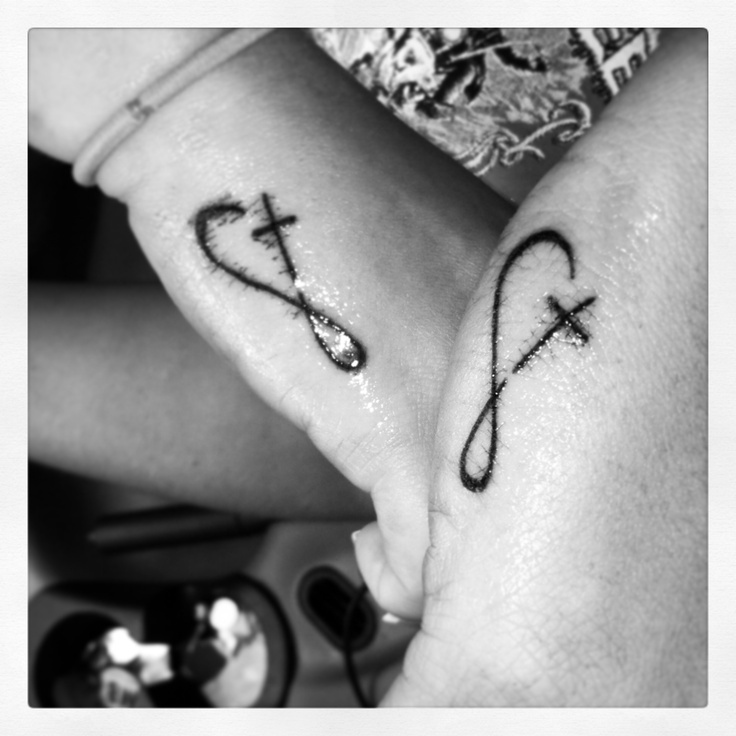 This inking acts as a sign of faith between you and your friends that your friendship will last forever. 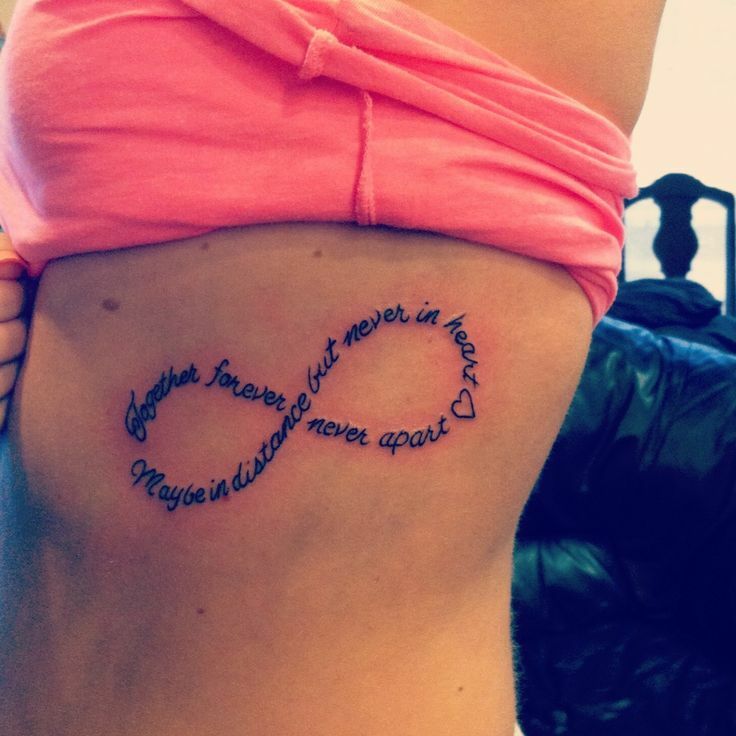 Some of the infinity tats lie in some of the above-discussed categories. 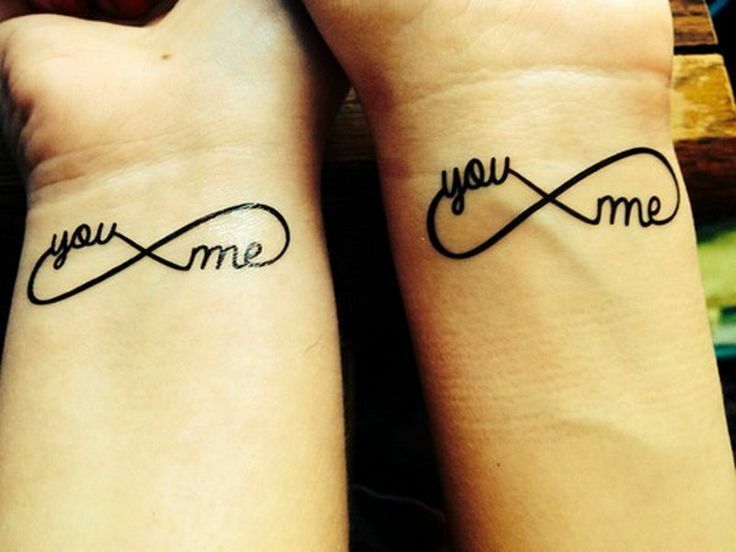 Below are a few best friend infinity tattoos. 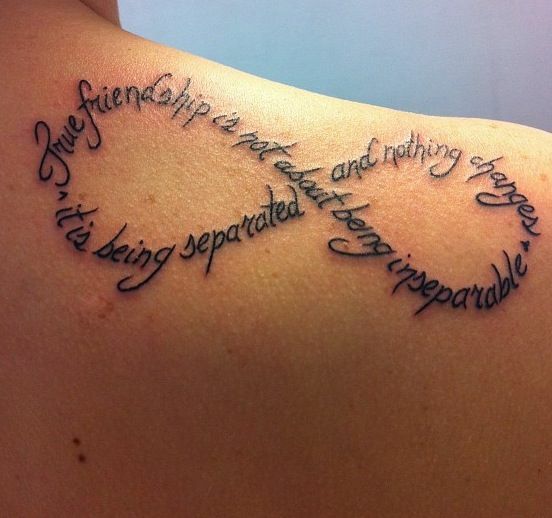 This is involves having an infinity symbol whose part of it the line is broken and the space filled with the word friend. 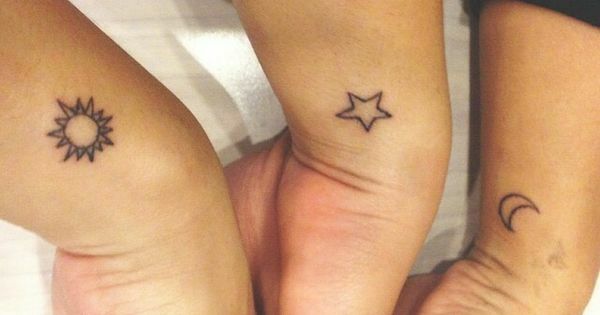 It is a simple inking but still cute especially when placed on the foot. This comprises of a simple heart with an infinity sign crossing the heart. The use of the two symbols will make your tat mean your love is everlasting. Examples of these tats can be found in previous sections. 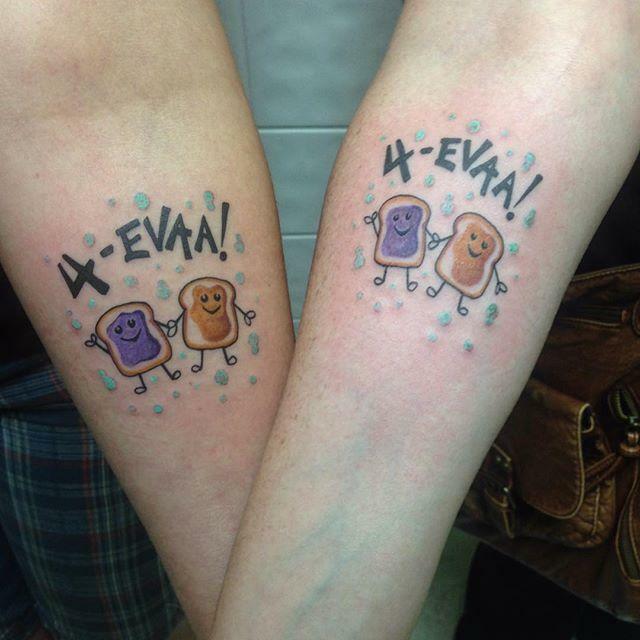 The best matching friends tattoos are those are done the same across all friends. 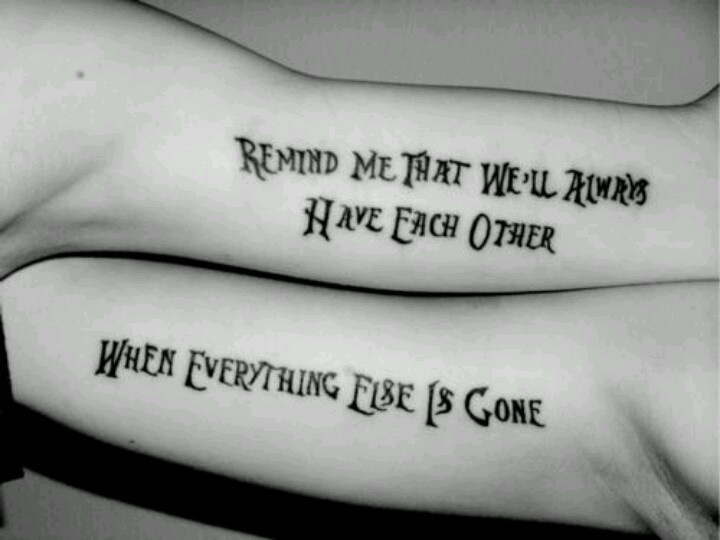 This means your tattoo and that of your friend will be identical. Here are some of the best that you can try. This is can be done to friendship comprising of more than two people. 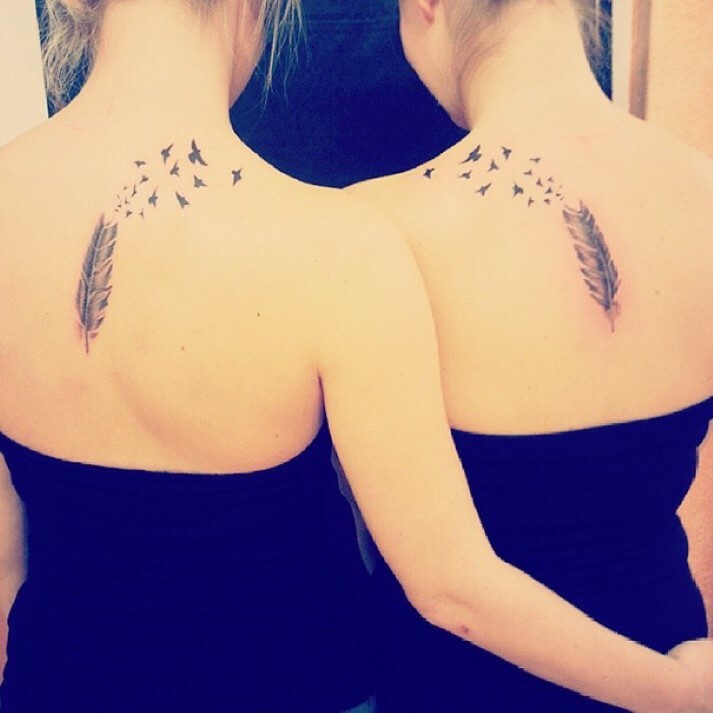 The tattoo comprises of a tiny feather that is done on each friend at the wrist. They must be done exactly the same so that they can match. 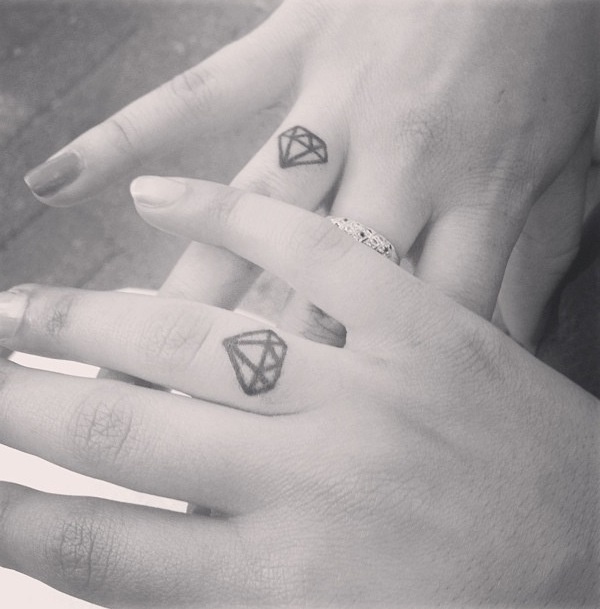 This is an awesome inking for you to wear with your BFF. It is simple but beautiful. It just comprises of turtle and is mainly placed at the foot. The use of turtle could be used to mean how your friendship will remain strong whatever comes along. The cross is a simple symbol but with great significant meaning. This is one of the best friend neck tats. 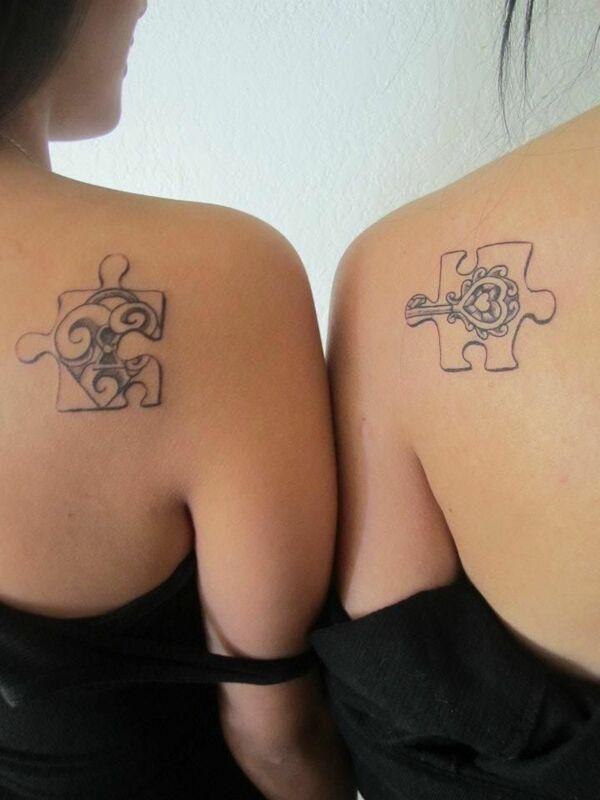 The matching friend tattoos comprise of many elements, especially animals. An elephant can be used as the theme of the design. An elephant is associated with strength thus symbolizing the strength of your relationship. 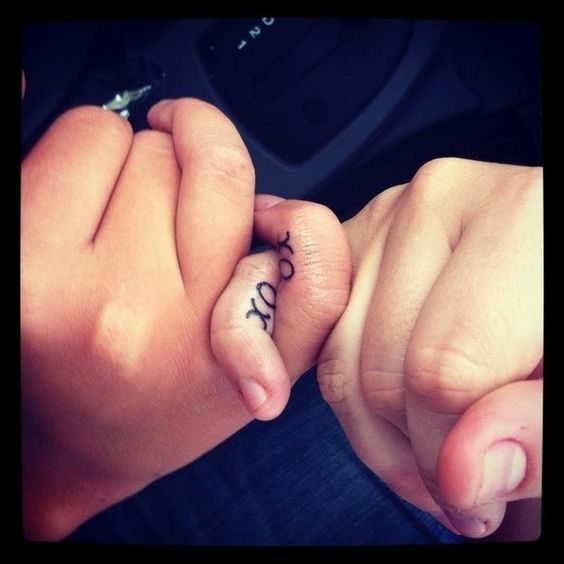 Best friend finger tat is category established according to where the inking is placed on the body. 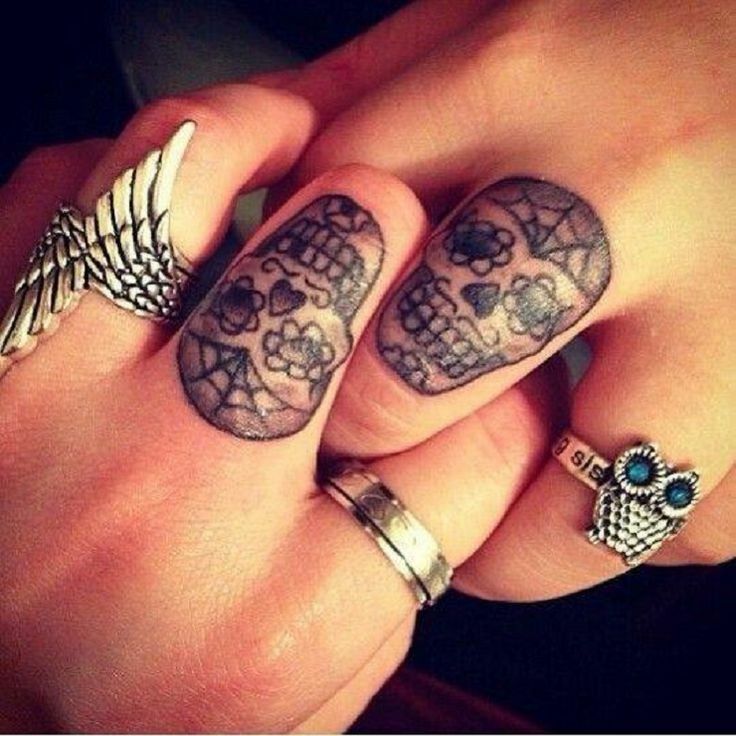 In this case, these tats are placed on the finger. They are very common to those people who embrace greeting associated with a specific finger. Most of the small friendship tattoo can also belong to this type. Here are some of the best examples that you will love. 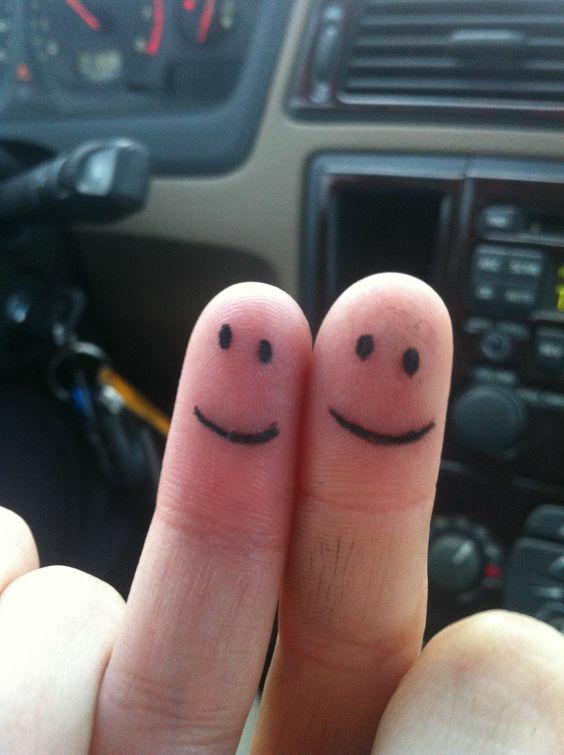 The inking is placed on the small finger of each friend. 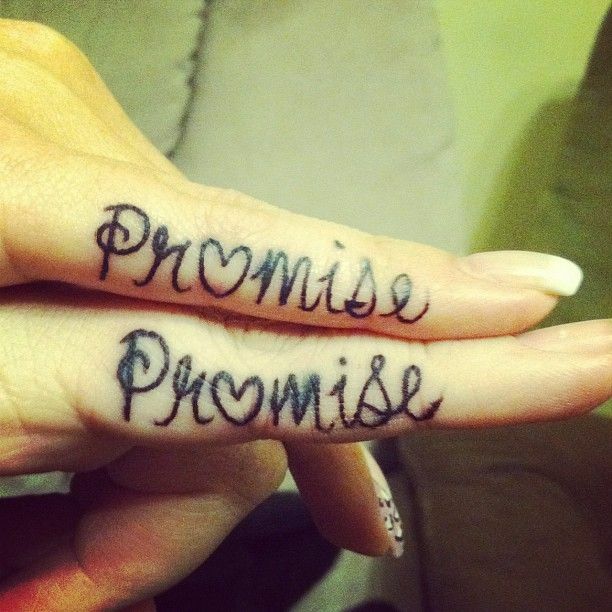 The design of the tat comprises of the word promise whereby the letter ‘O’ in this word is replaced with the heart symbol. In most cases, friends use this to remind them of the promise they have for each other. 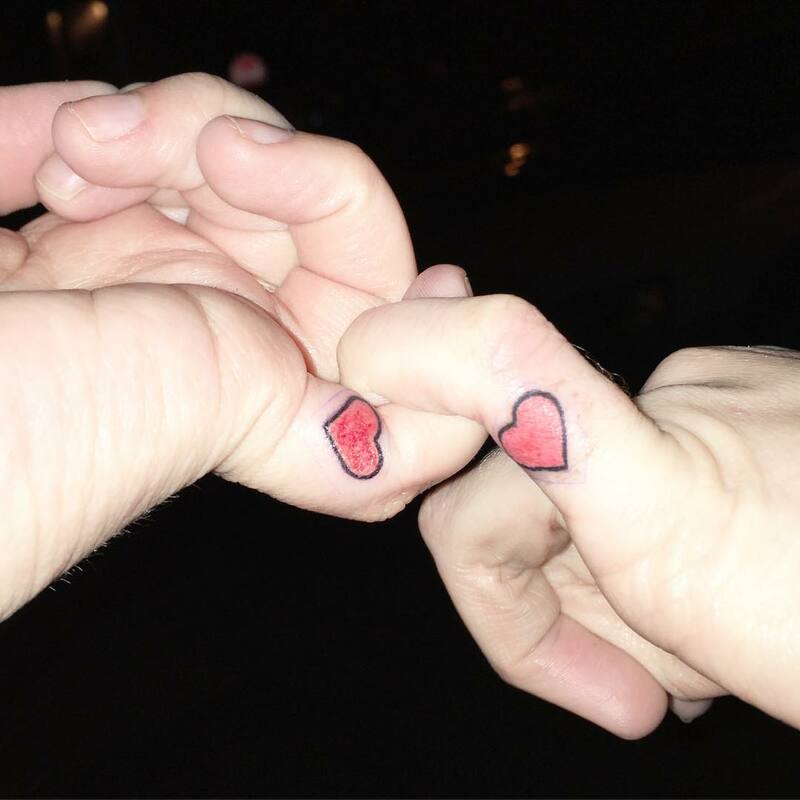 You are looking for a funny inking to do on the pointing finger, the simple BFF tattoo design has a smiling smiley symbol. It is done on both pointing fingers of the friends. It is funny but looks cool. Just like the pinky promise, this too is done on the small finger. The XOXO which stands for hugs and kisses is used to bring out the intimacy associated with friendship. 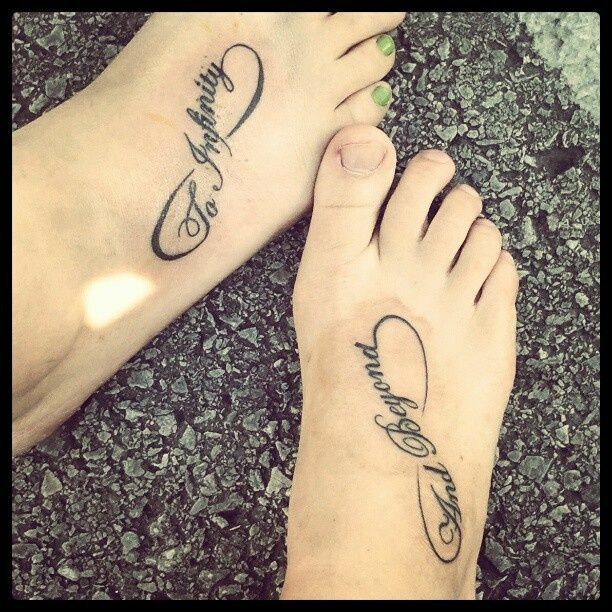 Again, the best friend foot tattoo is a type of best friends tattoos categorized according to where the inking is placed. 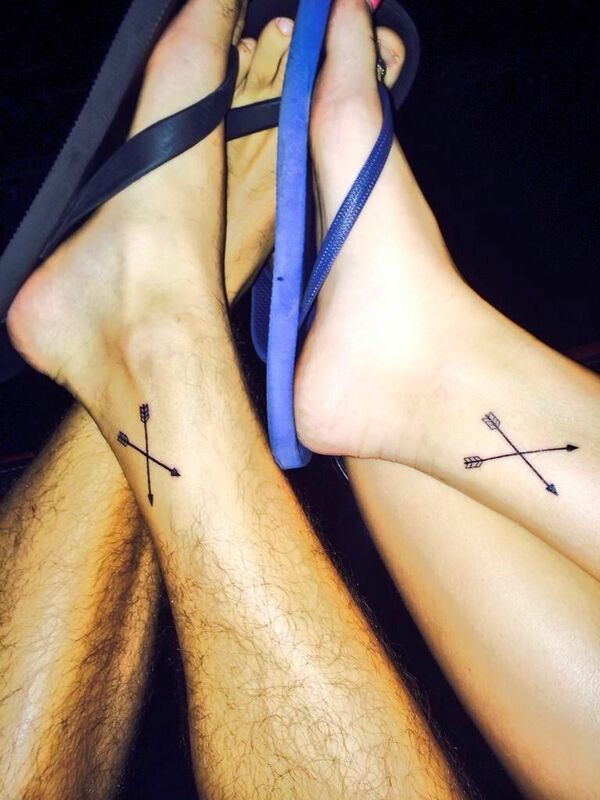 In this case, these tattoos are done at the foot. Have a look at some of the best. 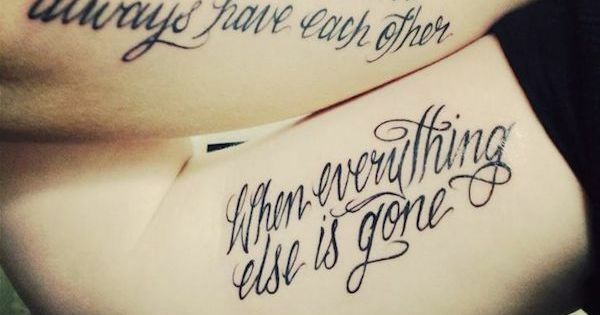 The design has the word “always” or similar done in a calligraphy style. The tail of the letter ‘y’ in the words can be exaggerated to form an infinity symbol. 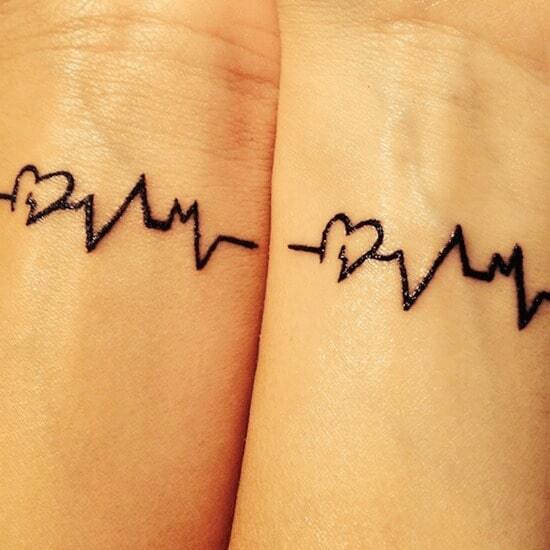 This is a cute design whereby the main elements are the heart, the lifeline, and the word forever. 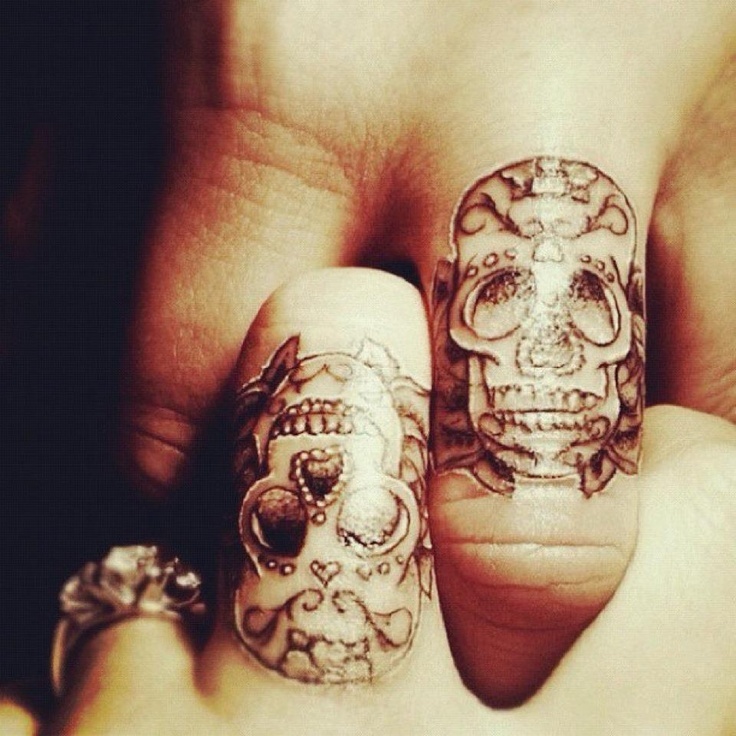 These are done in continuous form on the foot to come up with this cute tattoo. The peanut butter always goes hand in hand with some jelly in a sandwich. It is a good way to symbolize friendship. It is placed mainly on the foot of two guys who are friends. This design lies in other categories above but this time as a foot inking . BFF tattoos are so many. However, there some that are ideal for girls, therefore, if you are a girl reading this, here there are some few tats that show you’re feminine. A diamond is always used by ladies to show that they either think the same or to show that they consider each other as diamonds. This tattoo is mainly done on the wrist and it is very simple since it does not require a lot of decorations. This is an amazing inking. The design blends some flowers, cups and a quote to come up with something attractive. The quote done is the famous ‘tea for two’. Due to its size, it is done mostly on the thighs making it best for girls. The tattoo is simple but cute. The elements in the design are the sun and the moon. It is done on the middle finger. To make it look better, the nail polish applied on the nails should be similar to the color of the inking. 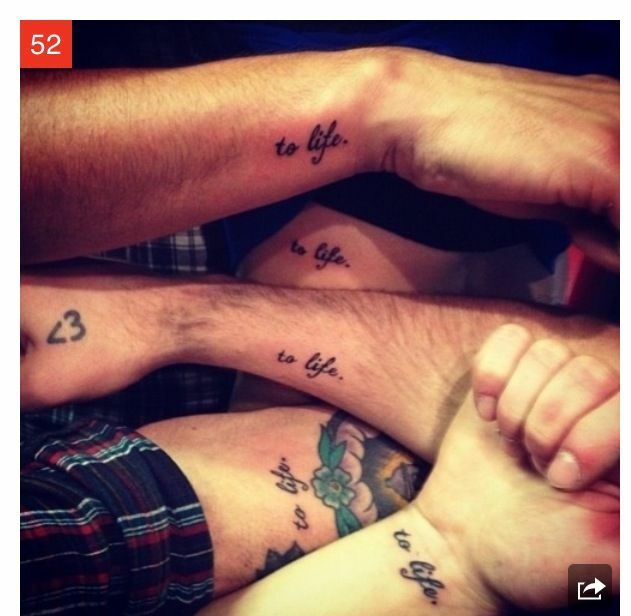 This is simply a tattoo with the phrase “to life”. This means the friendship will remain as long as the friends live. It is applicable to friendship with more than two friends. Every friend has the freedom to add extra elements in his inking. Some people are not so comfortable with having a skull inking. 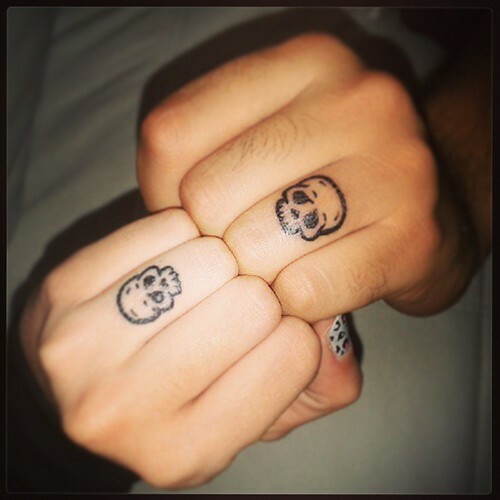 But for guys who love the skull tattoo, you can have a finger matching BFF tattoo whose design is made of a skull. Friendship does not only involve 2 friends. In some cases, the friendship may comprise of 3 people. 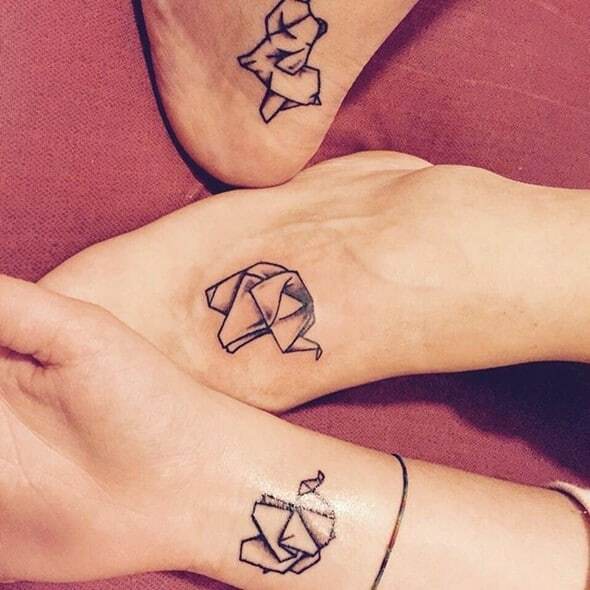 There are some ideal tattoos for 3 best friends. Here are the few I have chosen. In this case, each friend makes a tattoo of three flying birds on his or her wrist. The birds in this inking go hand in hand with the saying birds of the same feather flock together’. Again the three birds show the friendship has got three people. These three elements go hand in hand. 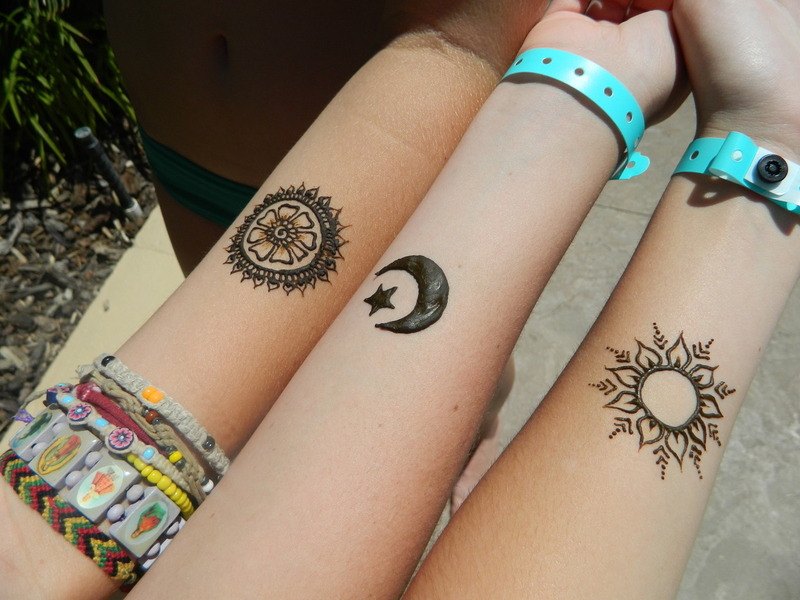 Therefore, they can be used to represent a friendship comprising 3 best friends. The ideal location for this tat is the arm. Are you daring enough to do a tat on your lip? This inking is awesome when done by three best friends. 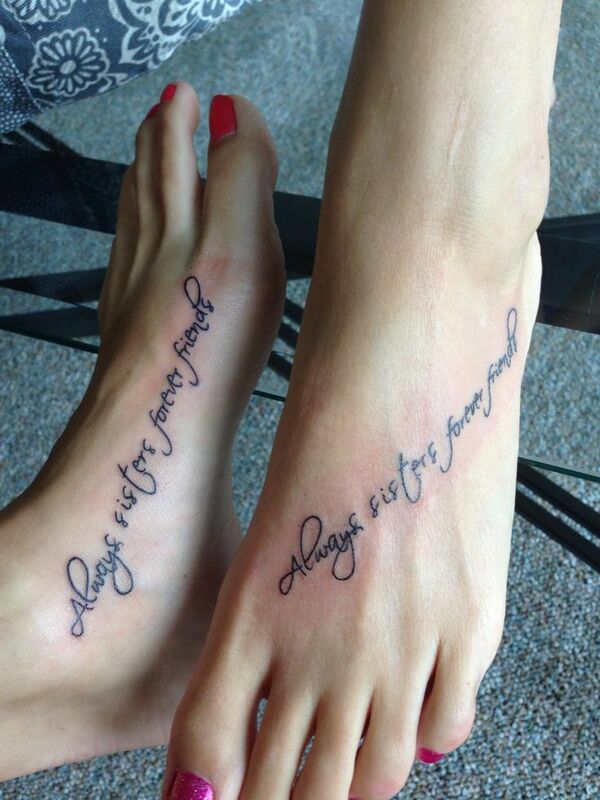 Each person does a tattoo of one word of the phrase “Best Friends Forever”. Most probably, you made a paper plane while you were young. 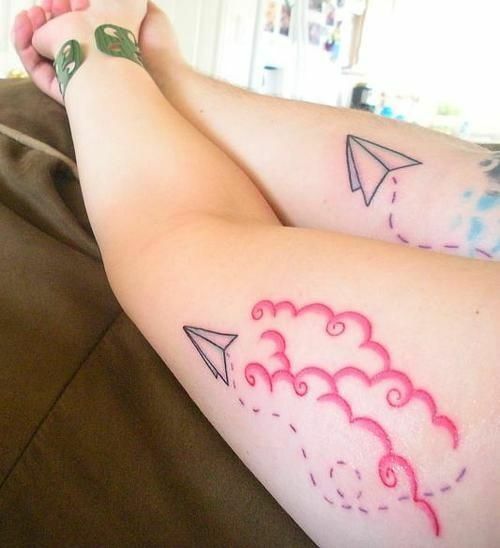 This inking is made up of a paper plane to show that friendship began while both of you were still young. An arrow is used to symbolize protection. 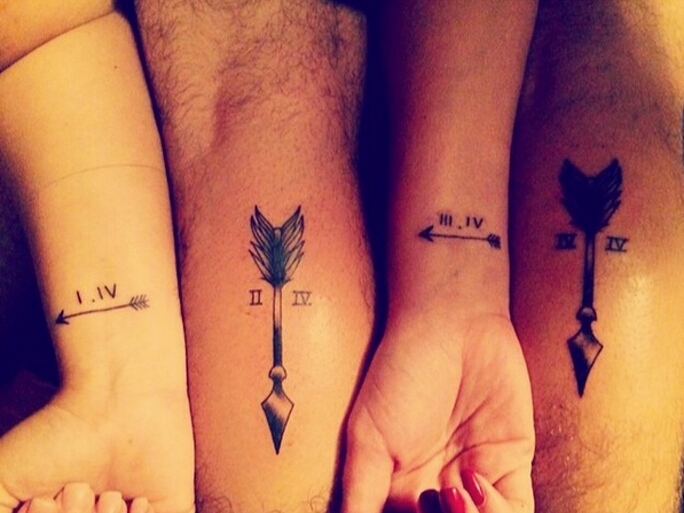 An arrow tat will mean that you will always protect one another for the rest of your life. One of the most common music note symbols is the G clef. 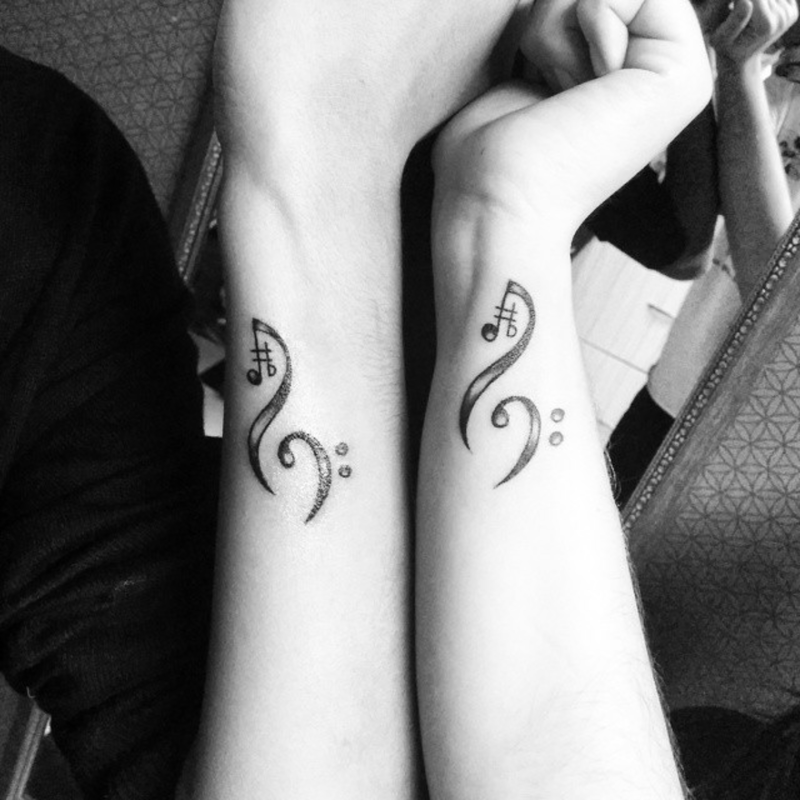 You can use it as a tattoo especially if you and your best buddy loves music. The main position for this inking is the leg. However, it can be done on the hand. The symbols in this tattoo are a girl holding a telephone line. 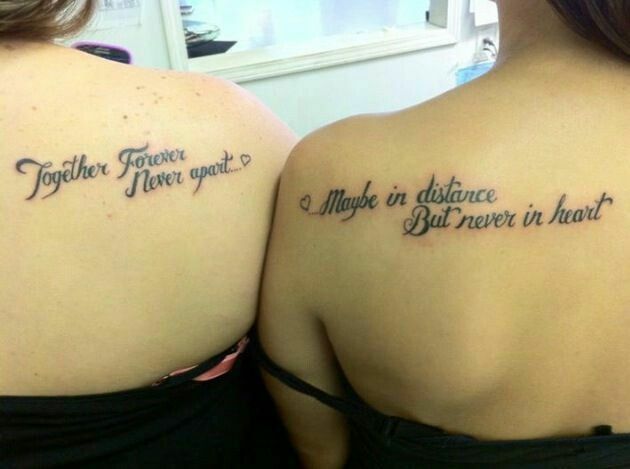 If the two tattoos are joined, an image of two girls communicating using a telephone line is achieved. This means that the friends will always communicate even when the distance separates them. The key tattoo is another unique one whereby the friends show that their friendship can only be unlocked by themselves. The key made in this design is normally small in size and hence, the inking can be placed on the wrist. 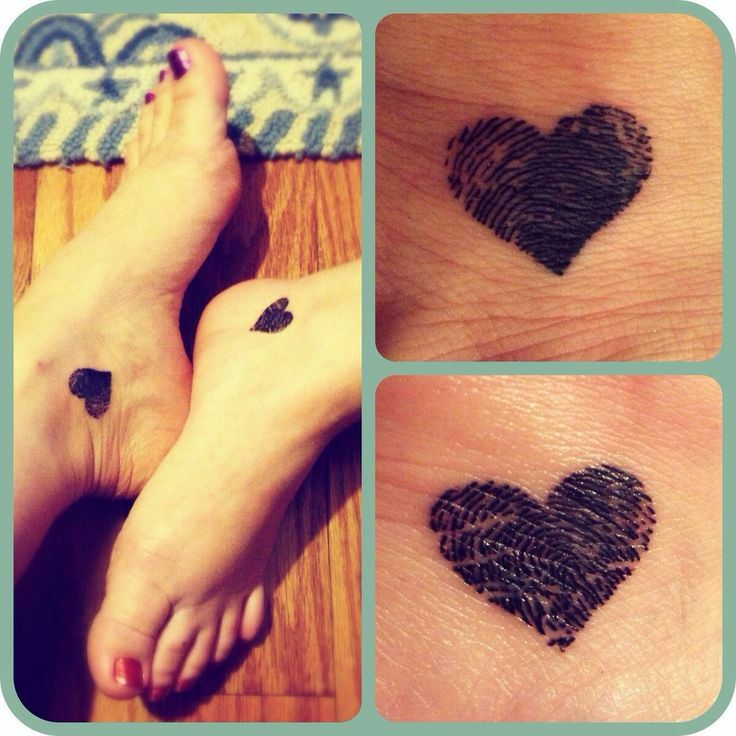 The key elements in this tattoo are the anklet and a broken heart. Each friend wears a piece of the broken heart. This means that if they separate, they will not be complete. It is a symbol of commitment. It shows that you will always remain committed the friendship and you will never at any time break it. 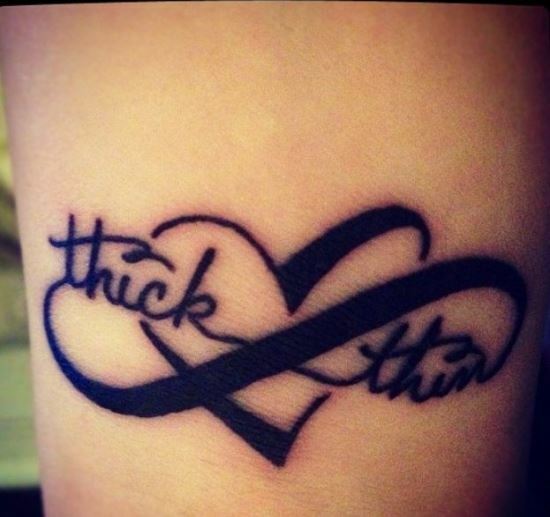 As the name suggests, this tattoo is placed on the ankle. 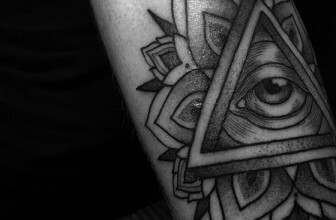 From the above discussed various types of best friend tattoos, you now have a good understanding of what to think of when choosing the right tat. The list is large, but it is good you choose the inking that will bring out your idea and that both of you as friends are comfortable wearing.